You know by now I love to tinker around and make things. 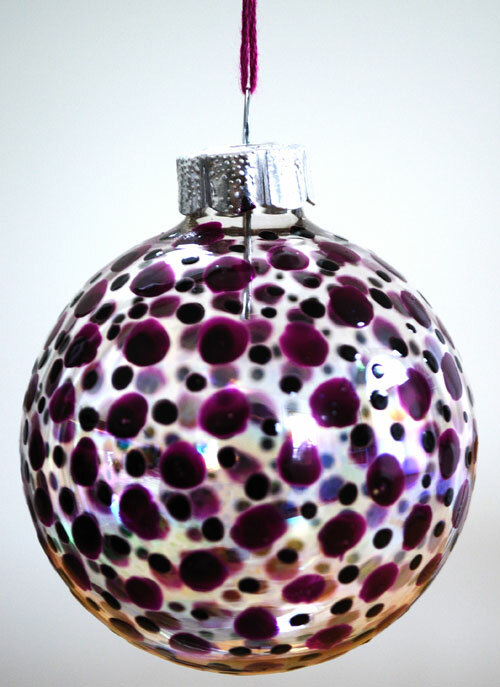 Well how about this simple little Christmas tree ornament. Basically select a couple of colors and dot them all over the ornament. Couldn’t be simpler! 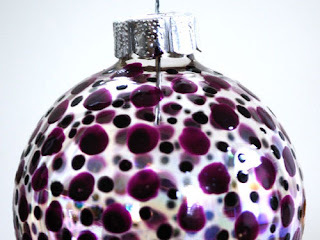 This entry was posted in Celebrate in Style, Christmas, Craft Projects, Holiday Projects. Bookmark the permalink. ← My teenager did all the Christmas decorating! Simply stunning! This looks so expensive! do you need to do anything to seal it? 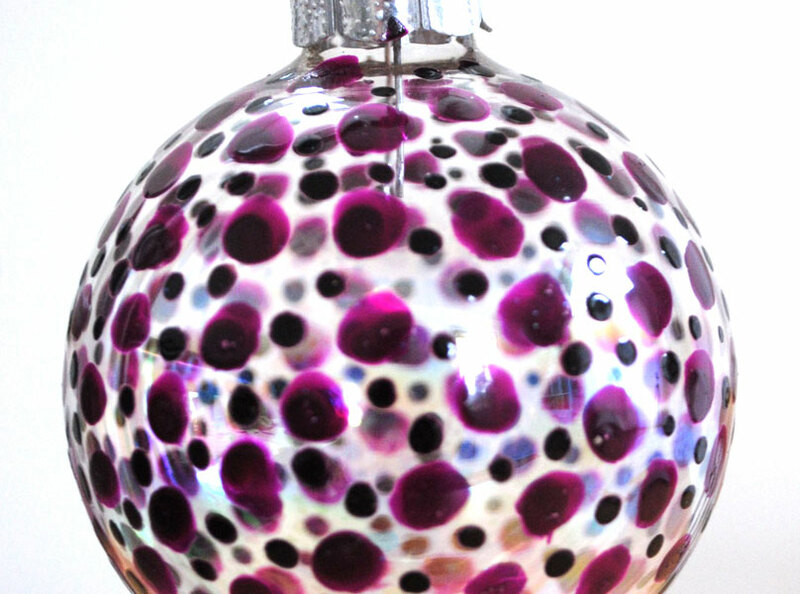 did you dap paint on the outside of ornament? Be nice if you told us what a "paint suitable for glass" would be. Sofa, I am sure you are capable of Googling "paint suitable for glass." That ornament is awesome. Thank you for sharing.